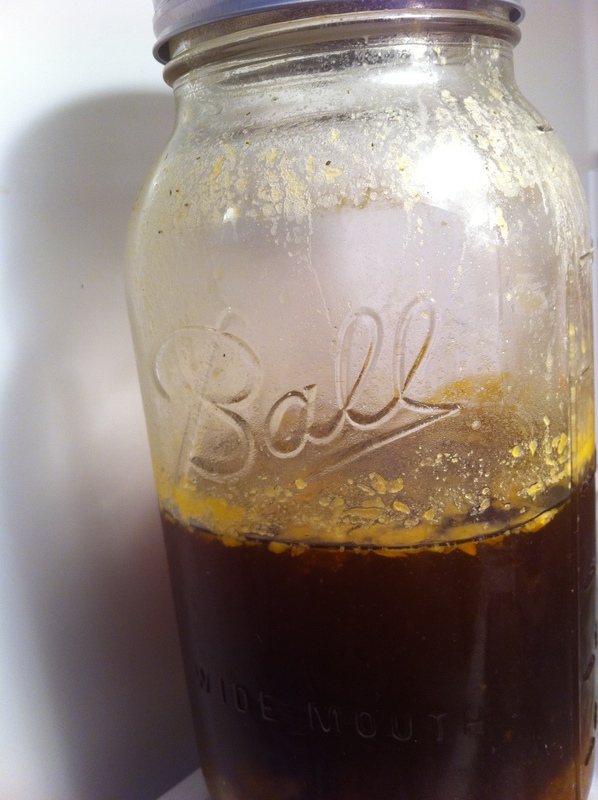 My first go at making stock. Using a 5-qt pot or larger, add the chicken parts and the 4 qts of water. Place the pot on stove, cover and heat on high until boiling. While the stock starts heating up, peel and halve the onion, scrub the carrots and chop them up (I don’t peel mine), and chop the top off the garlic head. Place the onion, carrot chunks and garlic head (chopped side down) on a baking sheet (you may opt to use a Silpat or parchment paper to line your baking sheet). 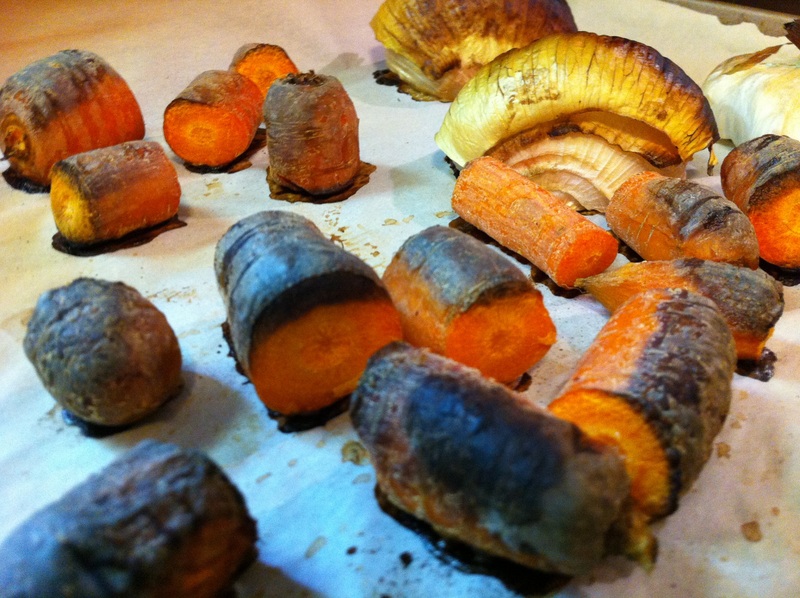 Roast the veggies in your preheated oven for 1 hour. 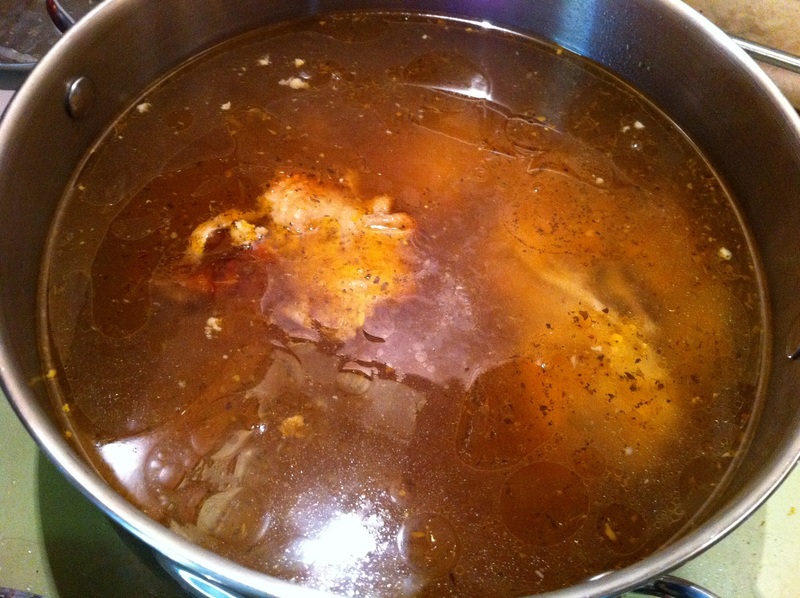 Once your stock has come to a boil, reduce the heat to let it simmer still covered. After your veggies are roasted, add them to your stock, removing the garlic from the peel by squeezing the garlic through the chopped end. Add in the celery tops and bay leaves. Continue to simmer your covered stock for at least another hour and up to 12. 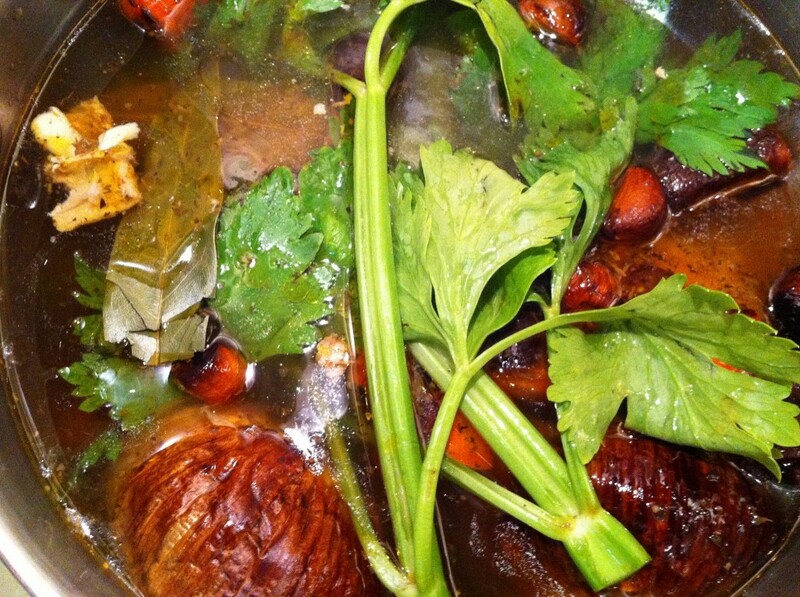 Remove the pot from heat and let the stock cool. Ladle stock through a sieve and into clean jars for storage. Starting to heat up the stock. Roasted veggies hot from the oven. 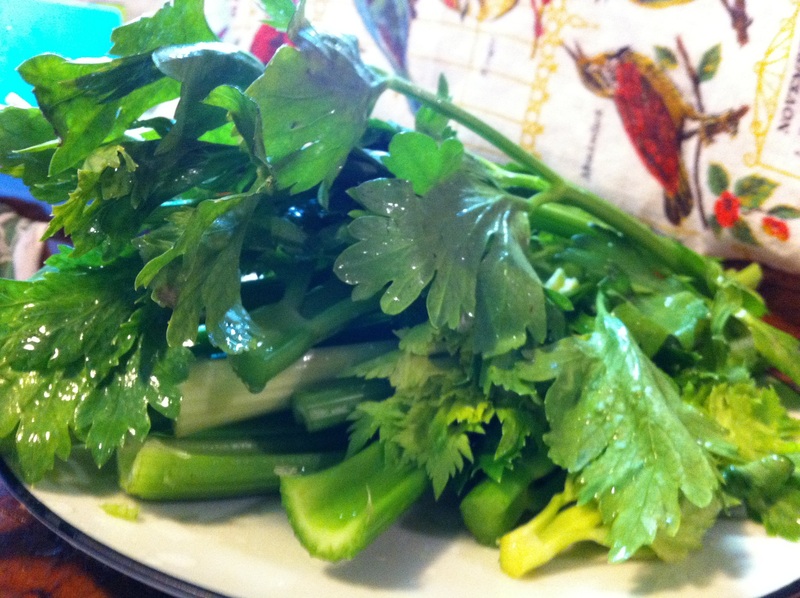 Celery tops and cleaned celery that I’ll use for snacking. My refrigerated stock. I’ve used it for Zuppa Toscana soup thus far and froze the rest in a smaller jar for future use. This entry was posted in sustenance+sustainability and tagged dairy-free, gluten-free, pantry basics on 23 September 2011 by cheryl. No food mill. I have the ricer you gave me =) , but I don’t think that would do the job. I figured the VitaMix would do the trick.